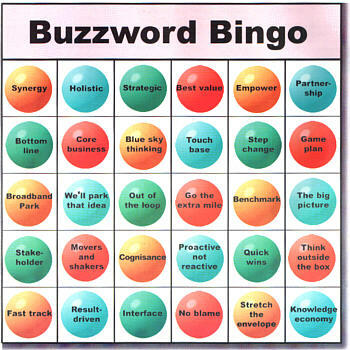 In any industry, and particularly the government, and government contracting community, we are familiar with buzzword bingo. A term is developed, it catches on and before you know it there are conferences developed to discuss this one term. If the term is really prevalent, there may even be some budget put towards it. If these are big terms, you might see a lot of budget towards this and look out when two terms are combined. We have seen this recently with two terms: Cloud and Cyber. I was recently in a recruiter’s office and saw this Meme. His frustration was evident with colleagues as to their confusion about the terms and their assertion that the positions needed to be filled quickly with little to no understanding of the basic difference between programming languages, applications, environments or skill sets. It was clear he wanted to channel his entire Inigo Montoya. In the government contracting space, Cybersecurity funding has been the largest stream in recent years and looks to be the one category that will grow as other budgets shrink. A recent straw man poll of companies shows that everyone is getting into “cyber”. The challenge with this is there are over 20,000 positions in Maryland alone that require some type of cyber experience and skills but a gap in the understanding of who these people are, and what skills they need. Worse is we have a community of recruiters, many generalists, who are being pushed to fill these positions without the training or understanding of the critical technical skill sets to fill these positions or how to cultivate this pipeline. The tech talent knows there are the gaps. Even at last year’s RSA conference one Tripewire blogger quipped about the buzzword bingo prevalent at the conference revolving around the term “risk”. Fortunately the other buzzwords of 2013 have faded away. (Shutdown) The bottom line is to fill these positions we have to pull back the veneer and get to the heart of the skills set. A frequent question about cyber is, isn’t this Information Assurance from 10 years ago? Yes, but a little bit more. You talk to any group of hiring managers and ask them the particulars of the cyber objective of the positions they are trying to fill and it is very different. Some are frontline defense, others are architecture. Some need programmers, some need HUMINT. This goes back to the recruiters tool kit: learning key aspects of the job and having a good relationships with the front line talent, program managers and hiring managers to be able to build the case as to why key talent would want to join your team. These positions need to be filled and there are talented professionals out there looking for the next killer project. The challenge is the recruiter trying to talk with them needs to understand the key components of the position. Tech recruiters – good tech recruiters- take the time to talk to their candidates and learn from them. What is the difference between Red Hat and Fedora? What is the difference between Java and Python? Who would want to learn Java versus Python? Not only understanding the difference between the programming languages but where their application fits best to solve the problem. This is such a hot topic we are actually devoting a session to this at recruitDC. Talk Tech to Me will bring two recruiters – one cleared, one non-cleared and two tech candidates each- to have a very upfront, and uncomfortable discussion about tech recruiting.